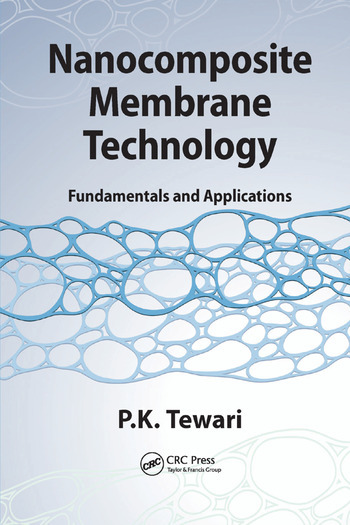 Nanocomposite Membrane Technology: Fundamentals and Applications covers each topic with enough clarity and detail to be a valuable source of information for beginners and experts alike. Thus, this book is the guide of choice for scientists and engineers in both industry and academia. P.K. Tewari joined the Bhabha Atomic Research Centre (BARC) in 1977 and became associate director of its Chemical Engineering Group in 2014. Currently, he is Raja Ramanna fellow in the BARC, consultant to the Office of the Principal Scientific Adviser to the Government of India, and professor at the Homi Bhabha National Institute. Dr. Tewari received his PhD in chemical engineering from the Indian Institute of Technology Bombay in 1987. He was chairman of the International Nuclear Desalination Advisory Group of the International Atomic Energy Agency (IAEA) from 2005 to 2008 and is currently chairman of the Technical Working Group on Nuclear Desalination of the IAEA. Widely published and highly decorated, Dr. Tewari is chairman of the Water Quality for Industrial Purposes Committee of the Bureau of Indian Standards, president of the Indian Desalination Association, member of the Board of Directors of the International Desalination Association, editor-in-chief of the International Journal of Nuclear Hydrogen Production and Applications, associate editor of the International Journal of Nuclear Desalination, and member of the editorial board of Desalination and Water Treatment.